In its unlocked form, the tablet started getting the update in early May in certain markets. If you bought yours from AT&T, though, only now can you truly celebrate. The rollout is over-the-air, as you may have expected, which means you should allow a few days for it to reach all units out there. 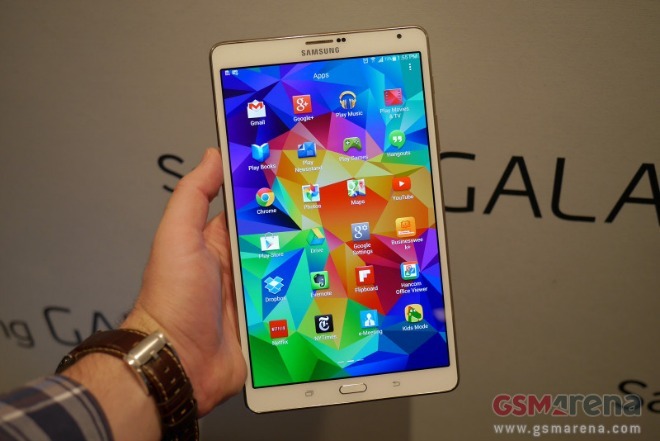 So if your particular Galaxy Tab hasn’t popped up the notification yet, don’t panic, just be patient. It will happen soon. After applying the update, you’ll be on Android 5.0.2 and build LRX22G.T707AUCU1BOE4. The download size is around 1.1GB, so it may take a while to finish. You’ll need to connect to a Wi-Fi network to get it. The new software brings with it updated Quick Settings, additional animations, better notifications, and Device Protection, aside from all the bells and whistles of Lollipop itself.